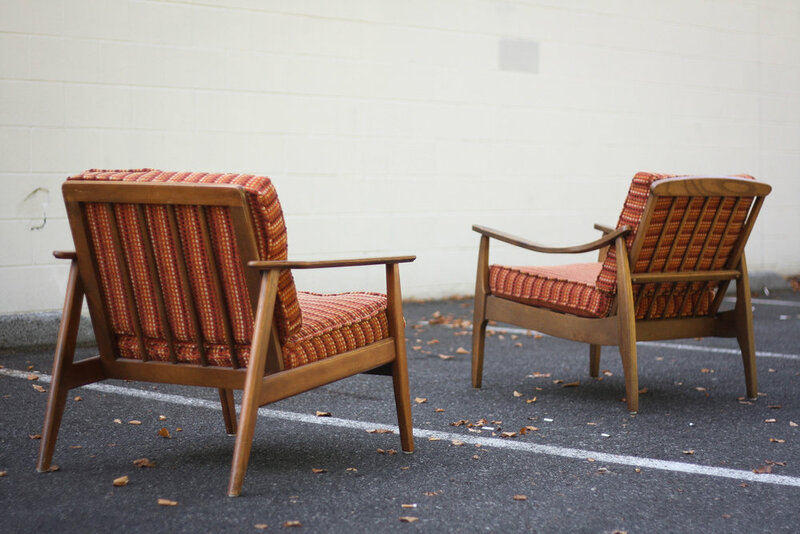 Check out this pair of classic mid century modern lounge chairs. They are vintage and have beautiful lines. While the chairs are not identical, they compliment each other nicely and pair well together. 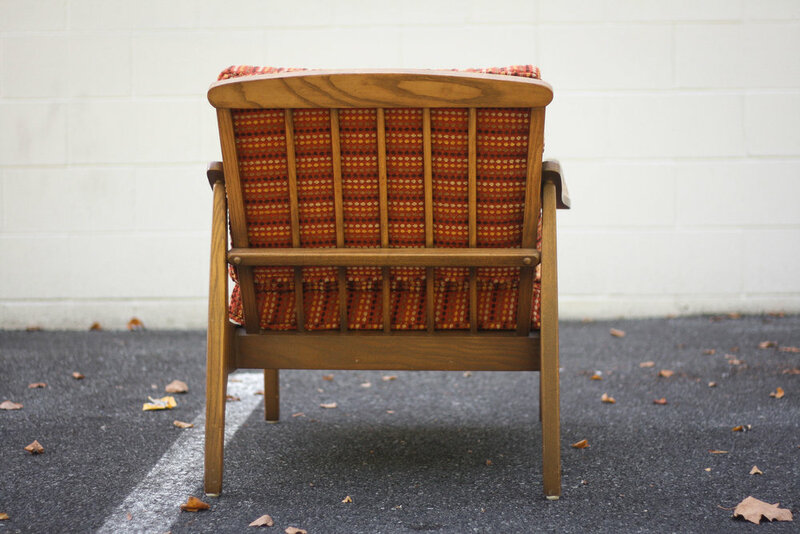 Burnt orange wool fabric features a circular pattern print, a nod to upholstery from the era. The chairs were recently recovered by the previous owner. The foam and fabric are in great shape and do not need to be immediately replaced, however if you had a different look in mind, any upholsterer can whip of a pair of box cushions no problem. The walnut finish on the chairs shows light signs of use typical of any mid century piece. We did our best to photograph from all angles so you can see quality and condition. The chairs obviously show very well and the beautiful shape distract from any obvious issues. Most importantly, there are no broken joints or cracks to the wood frames. 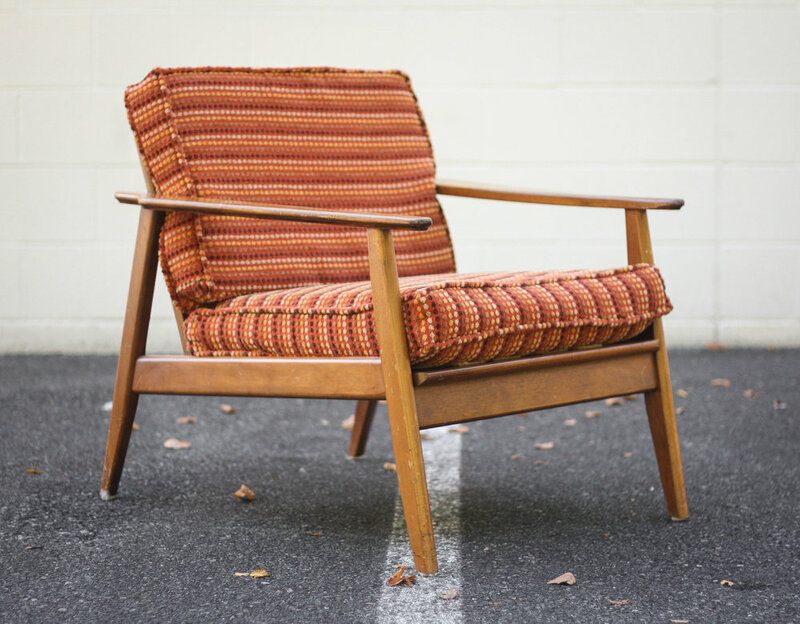 As they are solid wood, you could sand and stain to make them look brand new, but in our opinion that defeats the purpose of buying classic mid century furniture.